Learning disabilities, as most of us know have an effect on a child’s brain in the way they receive, process, store, respond to and communicate information, according to the National Center for Learning Disabilities. (This means children with learning disabilities can have a hard time in areas such as coordination, motor skills, memory, information processing, speech and language development, reading and writing and math skills. While some learning disabilities may not be identified until middle grades, young children often exhibit early warning signs. If learning disabilities are addressed in the early stages, lifelong disabilities can become much more manageable. It is well documented that children learn best through play, and because of the holiday season, toys have been in my mind lately. I believe educational toys can provide opportunities for children to develop the tools they need to become successful learners despite their disabilities. Every child is unique and it would be unfair to group a child into a category based on their specific L.D. Alone, however certain L.D categories share characteristics that can be worked on use of educational toys and play. Dyslexia and Dysgraphia for instance affect reading, writing, spelling and composition. Items like Foam letters that a child can stick to the wall while taking a bath or magnetic ones for the fridge are perfect for early learners. Children ages 3 to 5 will learn letter recognition, spelling. also letter tracing stencils help children learn fine motor skills associated with letters and writing as well and can also be a great learning tool. Older children may benefit from family games such as ne of my childhood favorites: Scrabble Jr. Or a simple game of hangman to promote memory and letter sounds to try and figure out the missing letters. Obviously the game of toy you choose must reflect the child’s capabilities, it is essential they are optimally challenged but do not become too frustrated. this is after all supposed to be an enjoyable experience, one that will hold their attention and be rewarding in itself for it to be successful. It is important that a patient adult guides the child throughout these games and offers support and reassurance to minimize frustration. 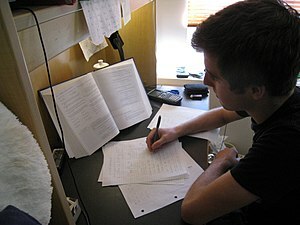 Dyscalculia on the other hand affects grasping mathematical concepts like computation, time and money. Plastic or real money is a great tool to use for games like ” playing store” where the child wishes to buy or sell an item and the adult requires the exact change. (a fun way to make this interesting is to use real coins and allow the child to keep the profits if he or she is correct) using different denominations is also a great variation. Simple dice games (including many common board games) can be used to teach basic addition and introduce learners to odds, probability, logic and critical thinking. People with Dyspraxia have difficulty with fine-motor skills, including coordination and manual dexterity. Toys that require assemblage can provide great learning tools with the reward of a finished toy at the end. Those toys with screws, can be put together with a manual screwdriver, learners will use their fine-motor skill to piece together these movable puzzles. To increase use of manual dexterity, let children use their fingers to turn the screws instead of the drill or screwdriver. Adult discretion is obviously implied in these activities, safety and reasonable level of challenge should be the first thing considered when choosing the appropriate activity. I also want to add that encouragement and praise for good effort weather or not the child is fully ‘successful’ is important. The whole idea is that toys and games can make learning and practicing skills that need extra effort become fun and enjoyable for them that they motivate the learner to do them on their free time as a fun thing to do. Either way the learner is being exposed to the process and some degree of improvement is always a good possibility. Does anyone have a favorite Game or Toy that has helped them or someone they know develop a skill? How much does the level of enjoyment an activity provides, affect how long you stick with it? ADHD in the classroom, maintaining order while providing a flexible learning environment for all. As an experienced educator working with young children for over a decade, I understand that most of the time disruptive behavior is not intentional. Never the less , it can be very distracting to the classroom learning environment. One solution would be to teach in a physically active and stimulating environment at all times. However, in addition to burning myself out doing this on a daily basis (don’t get me wrong, I would if it was the only option for the success of my students!) we also know that all students do not learn in the same way and some children require more “down-time” so they themselves do not suffer form the same ” burn-out”. Therefore, in our regular classroom where several students needs are to be met, this constant “up and moving” classroom is not feasible. Listed below are some solutions to minimize disruption in the classroom and allow children who have ADHD and other children to have an outlet without forcing the entire classroom to partake at once. 1)Send students with ADHD on errands. Ask your ADHD students to deliver a message to another class or take a note to the office. These tasks help kids build a sense of self-worth while providing an opportunity to stretch their legs and move around. 2)Let students stand and walk around between lessons. One teacher, for example, put a mini-trampoline in her classroom for kids who got restless. In the beginning of the school year, everyone used it frequently; but after the novelty wore off, only the ADHD students who needed to use it continued to do so. Another teacher let students use exercise balls instead of chairs so ADHD students could move around a bit, but still stay seated. 3)Provide fidget objects. These object can include worry beads, Wikki Stix, and squeeze balls—anything that can be quietly squished or handled. Not having to focus on staying absolutely still conserves the student’s energy for focusing on class lessons. 4)Keep lessons short and provide frequent breaks. You can even do this during tests if you sense that a student needs to move. Does anyone have other methods, tips and tricks they have used? In my next post I will discuss the topic of discipline for a child with ADHD from a teachers standpoint. • sharing strategies that have been shown to assist the child (see my previous blog post on study skills). These are just a few examples of what teachers and parents can do. Another important tip about effectively communicating is to be concise and to be clear about what you wish to convey in the beginning. For example, your main goal may be to inform parents/caregivers about a specific issue, obtain information, or initiate a specific action or change in behavior from the child. People need to know in advance what you expect from your communication. This also leads into the concept to staying on topic and trying not to digress from your common goal before the matter has been fully explored. Make sure everything you say has to do with the desired outcome. If you have already thought through the issues and the essence of the ideas that you wish to put across, it is likely that certain main ideas will stick in your mind. It is important to repeat these and make sure you and the other person are on the same page. This will cause less inconsistency and create a more reliable and dependable structure for the child. How well do you communicate with the child’s teacher/parent? In my last blog on Assessment, I discussed different assessment strategies that teachers can use for all students in their classrooms. In this post, I’ll be focusing on strategies to help develop appropriate study skills. Comprehension – through making connections, prediction, graphic organizers, visualization, and explaining difficult words. Spelling – through use of adaptive technology and computer programs designed to help. Retention issues – visualization, graphic organizers, using melodies to memorize, having child recall information in a variety of modalities and often. Another important strategy is using specific instructions and repeating them often so that it minimizes miscommunications. Having the students/ children repeat the instructions back in their own words is also a great tool for you to assess whether or not the student/ child really understands what you are trying to explain. In my next blog post I will discuss why communication between teachers and parents is essential for the child’s success. Do you have any suggestions about study skills or strategies that have worked for you? Children With Learning Disabilities: How We As Teachers and Parents Can Help Them Reach Their Goals! As an Educator, I’ve had the opportunity to teach several students who have Learning Disabilities. I understand the importance of accommodating the student in a way where they are not set apart or centered out in front of their peers. Youth and adolescence is hard enough without the added stress of being teased or isolated by their peers due to something that is beyond their control and already, unfortunately, has a negative stigma attached to it. I have found that many of the strategies used to help assist and accommodate those students with Learning Disabilities are actually beneficial to the entire student population. Below I will address some of these strategies in hopes that educators and parents will not only gain some different techniques to use, but in hopes they will use these strategies for their entire classrooms or helping all siblings at home with homework. No differential treatment, yet the student/child with a Learning Disability receives the help they need to be successful… to me it’s a win/win and a confidence booster! It’s worth a try is it not? 3) What the expectations are for each level (teachers out there will be familiar with the exemplars provided in the curriculum and there is no reason not to share these rubrics with your students). Teachers should develop an easy to understand guide for how the children will be assessed before the task is assigned. Creating examples of Quality work yourself is a great idea. Never single out a student and show their work to the class as an example! This is a big no -no in my book, even if you are using it for praise, you do not know if the student feels embarrassed by this or whether or not his/her peers will react negatively to them (ie: “teachers-pet”). Some children will begin to realize who the “smart” kids in the class are and instead of assessing their own work based on the criteria and their own goals and personal improvements they could develop self defeating attitudes rooted in perceived incompetence. In my next blog post I will discuss study skills that are essential for success. What strategies have you used for assessment in your classroom? What has worked for you? What hasn’t?